Hello folks! Year 2017 is coming to an end. This year we have been celebrating Finland’s 100 years of independence and Tampere DX Club’s 50 years anniversary. Thanks especially to those of you who visited Tampere EDXC 2017 conference in August. Nanjing Jingji Guangbo, Nanjing 900. Surprise e-mail from the Network Technology Director of the Nanjing RGD. DWCM Aksyon Radio, Dagupan City 1161. Friendly FB-message. DWET Life Radio, Santiago City 1179. Nice email. First time heard in Finland. DXRU Radyo Ultra, Cagayan de Oro 1188. Verification from the station’s morning host who recognized her voice on my audio clip. DYSI Super Radyo, Iloilo 1323. Via FB. "to all the good people of the beautiful Finland." Hangzhou Diantai Lao Pengyou Guangbo, Hangzhou 954. Old friends channel was surprised to receive my report which was verified by technical director of Hangzhou RGD. KTRK Birinchi Radio, Bishkek 612. Long email in English from the International Relations Department Officer of Kyrgyz Radiosu. Tnx for the tip JHY. JOCK NHK1 Nagoya 729 QSL-card. All NHK stations were heard with local identifications. JOKP NHK1 Kitami 1188 QSL-card. JOCE Radio Kansai, Tajima 1395 QSL-card and schedule. JOUC NHK2 Yamaguchi 1377 letter. JOAK NHK1 Tokyo 594 letter. JOAB NHK2 Tokyo 693 letter. JOFG NHK1 Fukui 927 QSL-card, letter, stickers. JOTR ABS Radio, Akita 936 QSL-card, schedule. 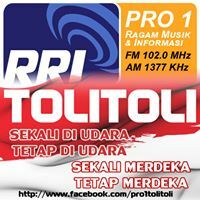 RRI Toli-Toli 1377. My first MW-station from Indonesia. V/s told that about 15 people are currently working in RRI Toli-Toli. They are broadcasting on both AM and FM, FM being more popular. Cheng Kung BC, Kaohsiung 936. Nice PDF-QSL –letter after two months from this difficult Taiwanese station. 5PA ABC Naracoorte SA 1161. Red Radio Integridad, Lima 700. Via FB. Radio Luz del Mundo, La Paz 1560. Via FB. Radio Ecos del Naranjito, Naranjito 1470. Friendly email. 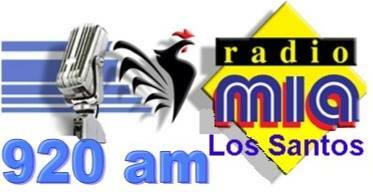 Radio Mia, Los Santos 920. Both FB and email verifications from this nice Panamanian. 4VEH La Voix Évangélique d'Haïti, Cape Haitien 840. Quick FB verification. New country for me. CFMB Radio Móntreal, Montreal QC 1280. Short FB-verifications in Finnish! WDMC Melbourne FL 920. Via FB. WJAS Pittsburgh PA 1320. Short confirmation from the station president. WMAX Ave Maria Radio, Saginaw MI 1440. WLQV Faith Talk, Detroit MI 1500. KCKK The Rock, Littleton CO 1510. WCPT Willow Spring IL 820. CKJR Wetaskiwin AB 1440. QSL as an Word-attachment. WITK Wilkes-Barre/Scranton PA 1550. V/s confirmed that the station was running with their 10 kW daytime pattern. Official night time power of the station is only 500W.